Senior Curator New Zealand Culture & History Claire Regnault uncovers the story of Gladys Pidgeon, New Zealand’s sole female representative at the first Empire Games, who was not allowed to travel alone. I recently collected this framed image of a rosie-cheeked Gladys Eileen Pidgeon (1906-2002). Sporting a fashionable Marcel wave hair-do, she is posing in a belted, black woollen swimsuit. Gladys, who worked as a clerk at Auckland’s Milne & Choyce department store, was New Zealand’s 220 yards breast stroke champion from 1925 to 1931 – that is with the exception of 1929 when she was out-swum by Lily Copplestone, who went on to compete internationally as an endurance swimmer. 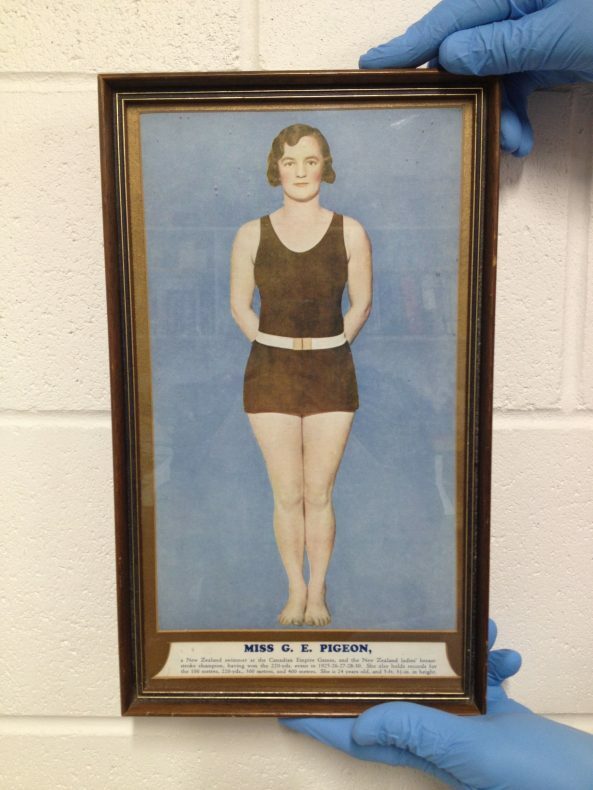 The caption below the image lists her swimming achievements up until 1930. The image itself is rather curious, as Gladys appears to have been cut-out from a group photograph, hand-coloured, re-photographed, and made into a half-tone reproduction, perhaps for a magazine or poster. Gladys’s string of national wins in the 1920s earned her a place on the inaugural New Zealand British Empire Games team of 1930. (The British Empire Games eventually became the Commonwealth Games.) 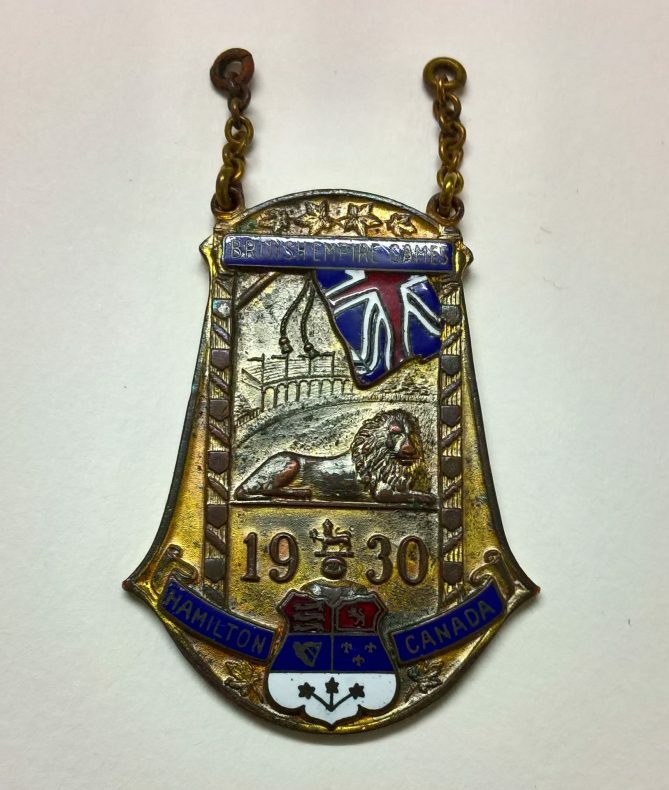 The games, which included track and field athletics, swimming, rowing, boxing, wrestling, and lawn bowls, were to be held in Hamilton, Ontario, Canada. Of the 22-strong New Zealand team, Gladys was the only female member. If she had been a champion in any other sporting field, she would not have made it to the team. Women’s participation in the 1930 Empire Games was limited solely to aquatics. Although Gladys was selected for the team, the pathway to her actual participation was not without additional hurdles – her main problem being, that she was a single woman. As such, the powers that be deemed that she would require a chaperone – an expense that the New Zealand government did not want to incur. Gladys’ mother Jane came to her aid, as mothers often do. Jane offered to pay her own way to Canada to act as her daughter’s chaperone. It is because of Jane that Gladys’ own daughter Pam was also able to gift Te Papa her mother’s competitor’s medal. 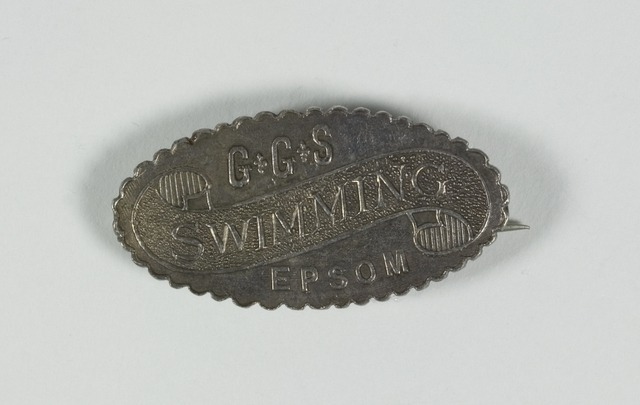 Although Gladys recorded a personal best at the 1930 Empire Games, she finished sixth in the final of the 200 yards breast stroke. The gold medal was won by Cecelia Wolstenholme of England in world-record time. Cecelia was only 15 years old, as was her team mate Margery Hinton, who won the silver. Gladys was 24. Gladys was stunned not only by her adversaries’ youth, but also by the number of coaches, managers, medical staff, and masseurs in attendance of the other teams. On her return home, she pleaded with the New Zealand swimming authorities to get people into the sport earlier. How thrilled she would be at the achievements of her successors such as Lauren Boyle and Sophie Pascoe. ‘… if something is at the heart of our identity and we allow blatant sexism and underrepresentation of women to continue, then that will be at the heart of our identity as a country and none of us want that’. Peter Kitchen, ‘First Kiwi Woman at Empire Games’, The Dominion Post, 28 November 2002, B7. My favourite sport that I take part in even today, swimming! I had never heard of this lady so thank you for this… I have heard about Murray Haxton died a few years back, know the family…also have a friend who did swimming… best form of exercise is swimming for all aches and pains and exercise!! !